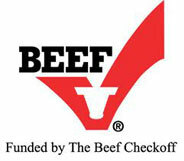 Beef Quality Assurance is a program administered by the National Cattlemen’s Association in order to guarantee both that cattle are being handled humanely and to insure that our beef contain nothing that can compromise the health of those that consume them. 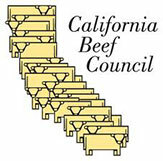 It consists of setting the highest industry standards of handling, feeding and transporting cattle to insure the well-being of the cattle and the consumer, in the bi-annual training/reinforcement of both management and employees in how to implement these standards and in annual onsite assessments to verify that these standards are, in fact, being implemented. All of which is documented and all parties must read the documents and sign off as having understood them. After his initial training in the implementation of these procedures by the management of Foster Feedyard the employee must attend (together with the managerial personnel) biannual seminars, both to refresh his knowledge and to learn new technologies and improved procedures which have been developed in the interim. The importance of documentation cannot be overestimated; it insures that more than lip-service is being paid to the implementation of standards that guarantee the humane treatment of cattle and the safety of the consumer, without which we simply can’t remain in business. The implementation of these procedures has already significantly improved the efficiency of handling cattle over the past decade and we are firmly committed to adhere to these standards and to constantly improve them.